The girls are glad to see their Daddy! The other day we had threatening storms all around our area here in Ohio. I was finding the news on the TV so I could be informed while I made the mental note to stay inside as this looked like a bad one. I stood in my kitchen and watched as the winds picked up and lightening lit up the skies to the north and to the south. I could hear the thunder in the distance. This went on for quite some time. Friends were talking about the torrential rains they were experiencing at the same time I was watching it but not getting it. Our yard was dry. As I was watching, I felt God’s Spirit speak to me that as the storms rage around me, I am under the umbrella of God’s protection. I need not be afraid. I need not worry. I just need to keep praying and trusting God to get me through—even when I feel threatened. Yesterday when the guys were getting off the plane, many came to welcome them home. There were cheers, flags waving and many tears shed as each soldier exited the plane to the arms of their loved ones. It was quite the homecoming welcome! 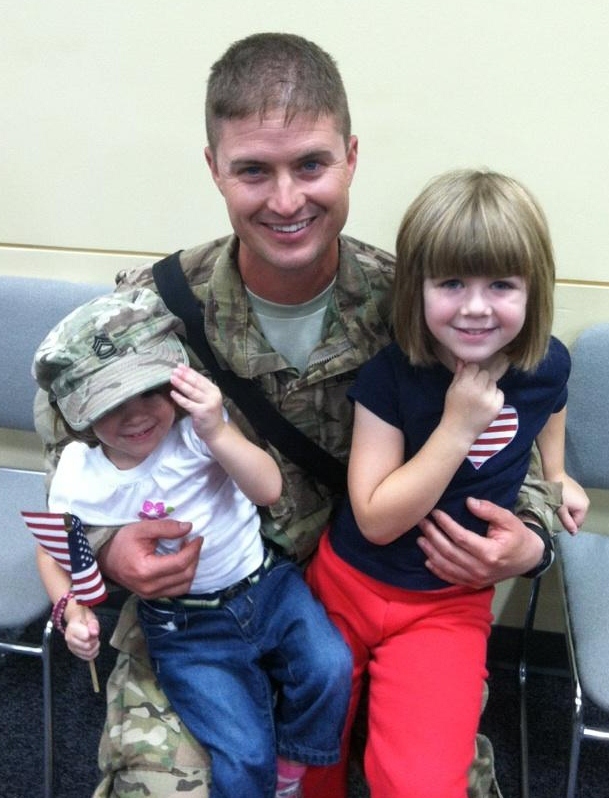 I dream of the day that we as Christian soldiers get the same “welcome home” as our soldiers got yesterday. I can see our loved ones now cheering us and welcoming us into the place that has been prepared just for us. It will be a glorious day! Is your life storming right now? Are you tired and weary of the battles all around you? Do you trust that God hears your prayers and will keep you safe from the enemy who lurks nearby? Ask Him to put a hedge of protection around your home and family or whatever it is that is being threatened. Just as I believe He did for my son and illustrated for me in my own backyard, He has the power to keep you safe and out of harm’s way too. Trust Him. Lean on Him. Never stop fighting until you’re home…safe and sound…for eternity! There, the final medal of honor awaits you. I am so glad Rob is home.